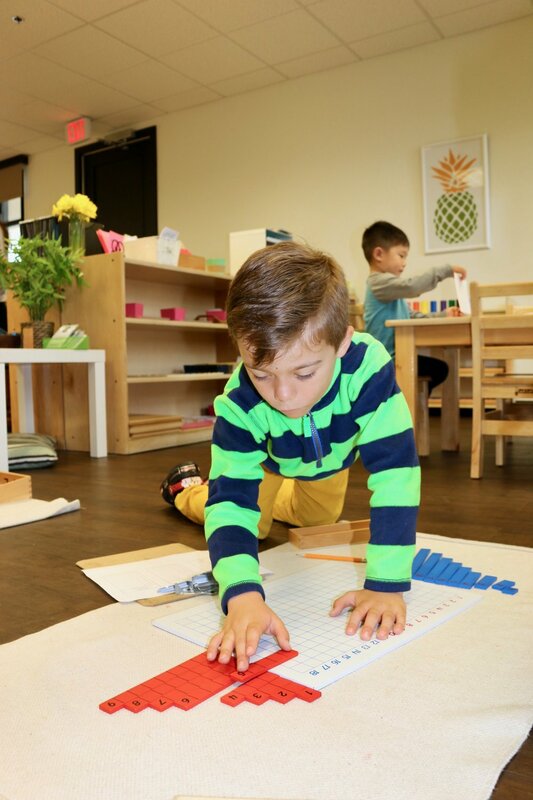 Our preschool classroom is a multi-age group from ages of 2.5 to 5 years and Kindergarten is from 5 to 6 years. Our primary classroom is a mixed age environment with an expanded academic curriculum. The young child learns from the older child and from imitation. For the older child, learning is reinforced by providing an example to the younger ones. The teacher will prepare the child for a larger spectrum of works with a focus on self-care, internal self discipline, math skills, reading, and writing. Our program allows the child to “learn by doing”, designed for his or her optimal development. Each child is encouraged to proceed according to his or her interest and capabilities. We place emphasis on good work habits to prepare the child for later life. We instill in them a sense of responsibility and respect for self, their peers, teachers, and other members of the community. 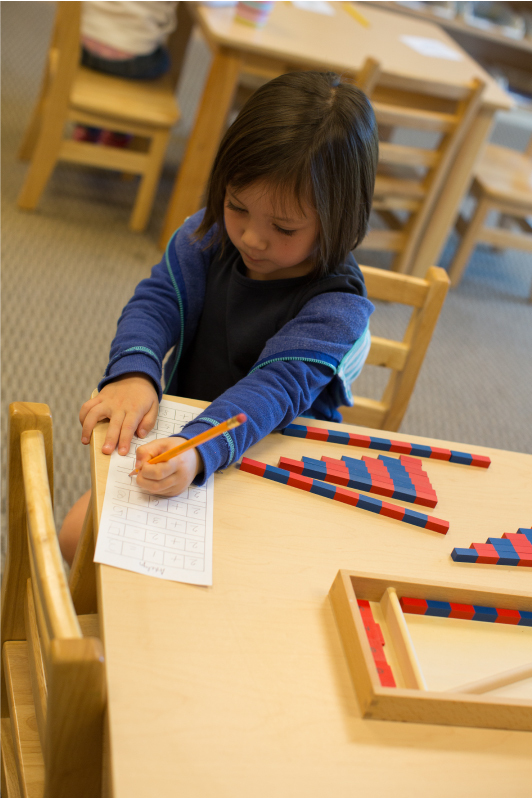 Upon completion our program, your child is well prepared for Elementary.